Ermanno Olmi's masterpiece The Tree of the Wooden Clogs, which follows the lives of three peasant families in turn-of-the-century Lombardy for approximately one year, is unusual among Italian peasant epics in that its director is of peasant stock, and the narrative, based on his grandmother's stories of rural life, reflects his family's own experiences. Olmi is also a fervent Catholic, and the film, with its warm depiction of traditional Catholic faith and piety as an integral part of the rhythms of peasant life, and its distinct lack of violent revolutionary spirit, has widely been regarded as a gentle Catholic counterpoint to angry Marxist peasant cinema, specifically Bertolucci’s thematically similar Novecento. The film was the winner of the prestigious Palme d'or (Best Picture) at Cannes and is regarded as one of the best Italian films ever produced. • Introduction by Mike Leigh (7 min.) features a discussion on the film with director Leigh. • "The Roots of the Tree" (53 min.) is an episode of The South Bank Show. 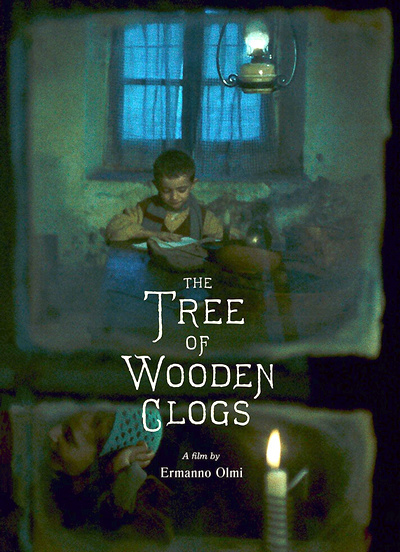 Host Melvyn Bragg interviews director Ermanno Olmi about The Tree of Wooden Clogs and about the director's career as a filmmaker. • Cast and Crew (34 min.) 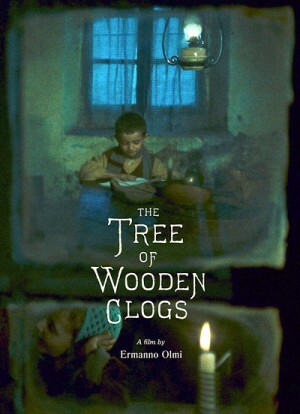 is a 2016 panel featuring members of the cast and crew who worked on The Tree of Wooden Clogs as they discuss the film's production and historical significance.